Stella Gemmell has a degree in politics and is a journalist. 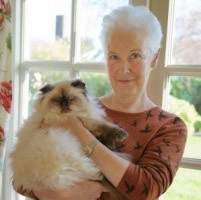 She was married to the internationally acclaimed and bestselling fantasy novelist David Gemmell and worked with him on his three ‘Troy’ novels, completing the final book, Troy: Fall of Kings, following his death in 2006. She lives and writes in an old rectory in East Sussex. The City is her first solo novel. CLICK HERE FOR MORE TITLES BY STELLA GEMMELL. 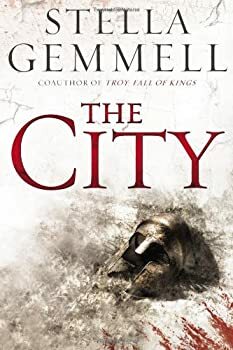 For a novel titled The City (2013), we see surprisingly little of the Stella Gemmell’s eponymous setting itself, save for its labyrinthine underground tunnels and sewers. But there’s no doubt the city sits at the center of this patiently-developed, detailed work thanks to its ongoing and seemingly endless war against the enemies that ring its lands and its internal dissensions as some of its most powerful citizens begin to chafe under the leadership of the Immortal.